WHERE’S Rexy? 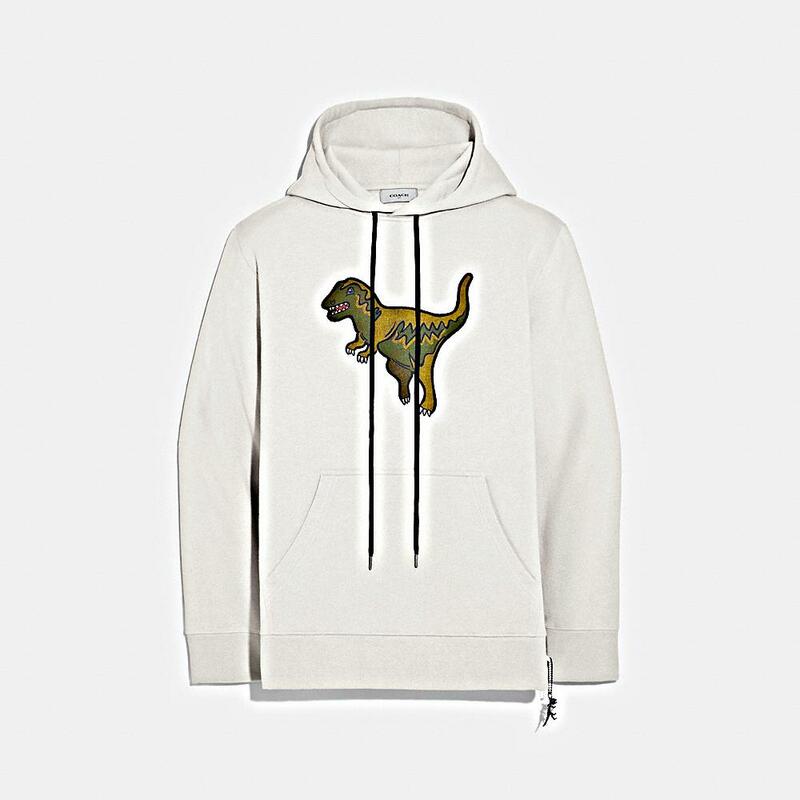 Move over Waldo, everyone’s favourite dinosaur from the Coach Rexy capsule collection is coming to Singapore. Following the Modern Active pop-up we saw last month, luxury designer Coach is bringing you yet another wholesome fashion experience. Block out these dates: Coach is coming back with a new and exclusive pop-up happening from 12th – 21st April at Paragon Shopping Centre. Earlier this year, Coach had wowed fans with an FW19 collection that is now one of fashion’s hottest fads. For those who prefer fun yet understated style, you’re now in good hands, with the Coach Rexy capsule collection. If anyone can make luxury fashion a joy to wear, it’s got to be Coach; the playful Rexy has become an icon, a beloved addition to the family of Coach’s designs since 2015. From bold solid colours to the Coach Signature Print, this collection is all about elevated basics that meld streetwear and high fashion. After a sneak peek at the Coach Rexy capsule collection from its Paragon pop-up, we’re picking out 5 of our favourite pieces that you’ll want to get when you’re there. If we’re talking about luxury bags, Coach is everyone’s favourite; we know that much with its impressionable Coach Patch. This Academy backpack is made from signature coated canvas with refined leather details, made for adventures near and far. It has a spacious, functional silhouette perfect for any occasion, with both a sleeve and a zip pocket for laptop storage. This spacious tote has a “go-everywhere” aesthetic inspired by a bustling trail on New York City’s West Side, made in scratch-resistant cross-grain leather. 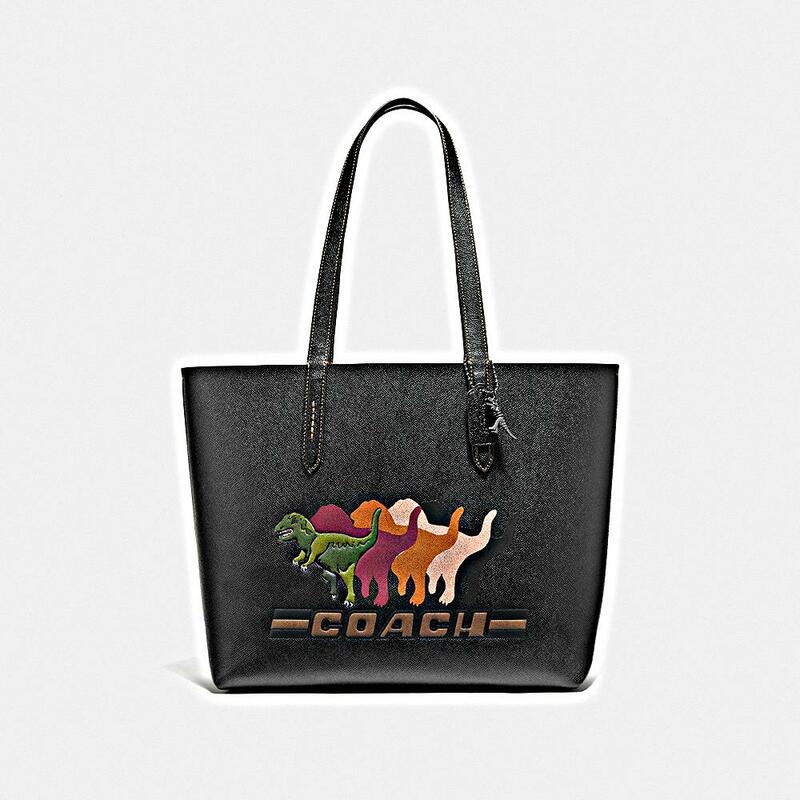 It has plenty of room for your essentials, no doubt; Rexy is featured with an edgy shadow graphic in this piece from the Coach Rexy capsule collection. Bring her along for your weekend luncheons and she’ll guard your belongings ferociously. 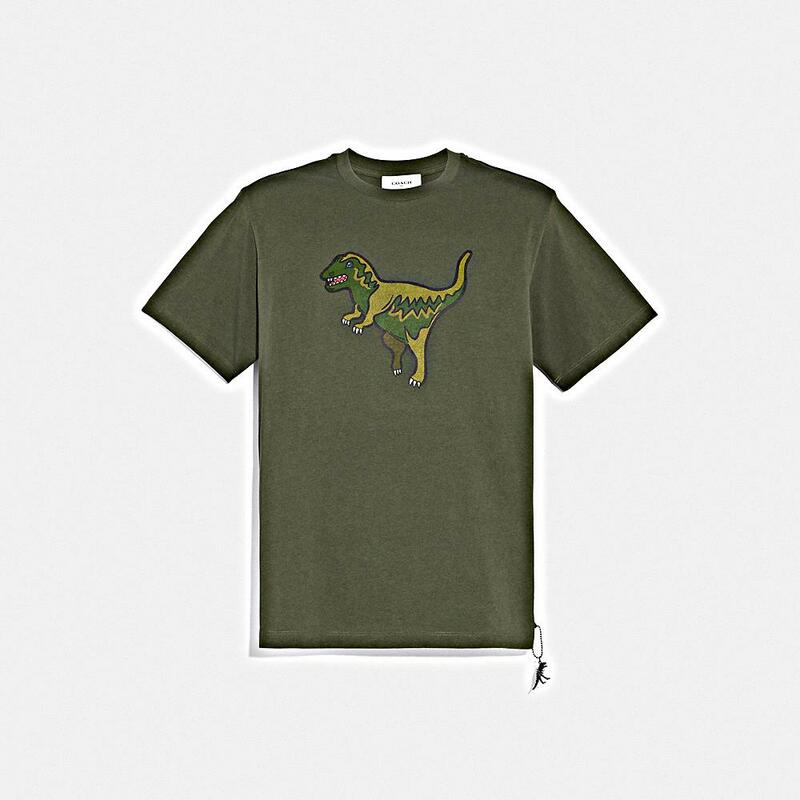 With the T-Rex front and centre, profess your love for rawr-ing dinosaur fashion with this classic Rexy T-Shirt. Made with 100% soft cotton, this is a great summer essential. Making its appearance in quite a few colourways, it is also available in black, chalk, grey and red. Slip-ons are like the lazy cousins in the shoe family — no laces needed. 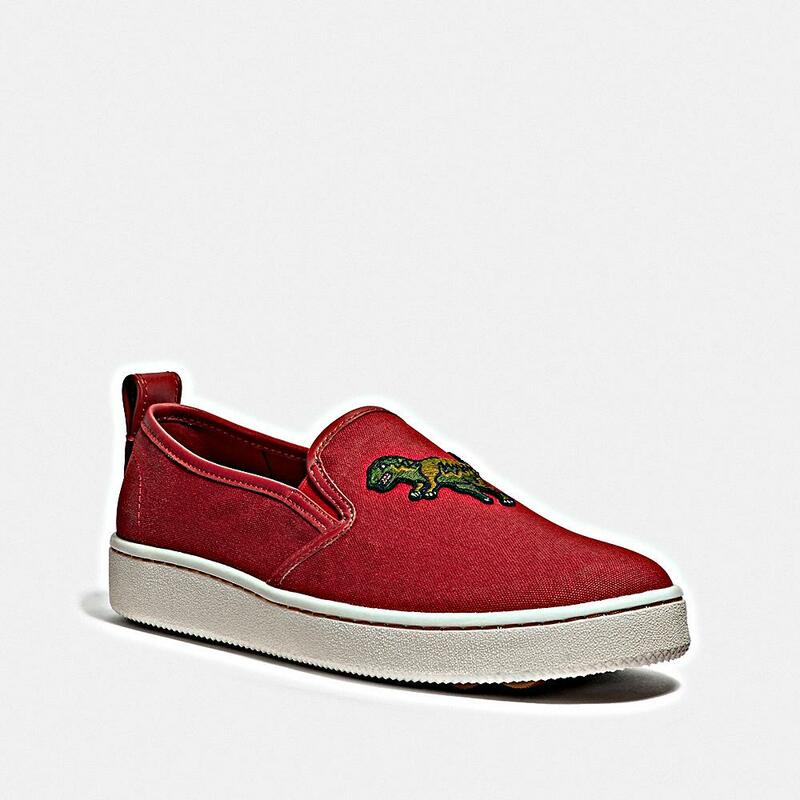 This canvas slip-on, inspired by California skate culture, is finished with a Rexy charm at the back with thick rubber soles to keep you street-ready. 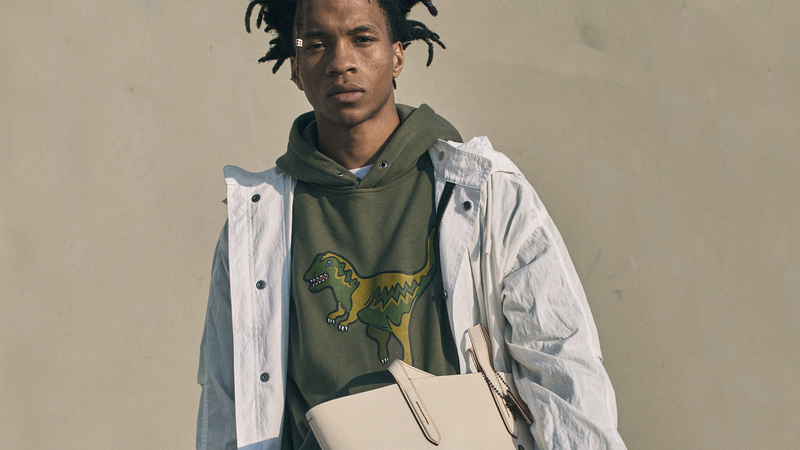 Of course, no Coach Rexy capsule collection is complete without fitting apparel to sport. Made from part cotton and part polyester, this swanky chalk hoodie with kangaroo pockets will be a fun addition to your closet. To pull off a 10/10 look, make sure you match this with a pair of dope sweatpants and sneakers; imagine an all-white ensemble, now that’s a hypebeast wardrobe we’ll dig. All images courtesy of Coach.